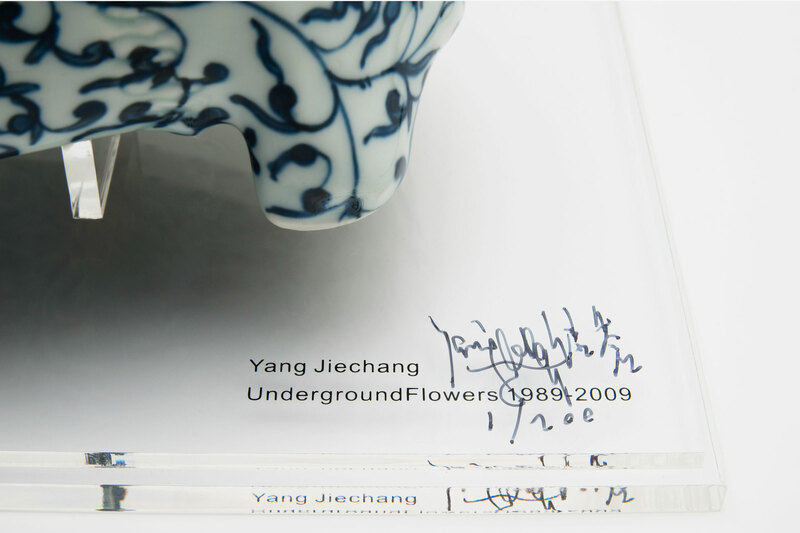 The edition of the skull relates to the installation « Underground Flowers », which was a co-production with Galerie Jeanne Bucher Jaeger and specifically created for the Lyon Biennial in 2009. 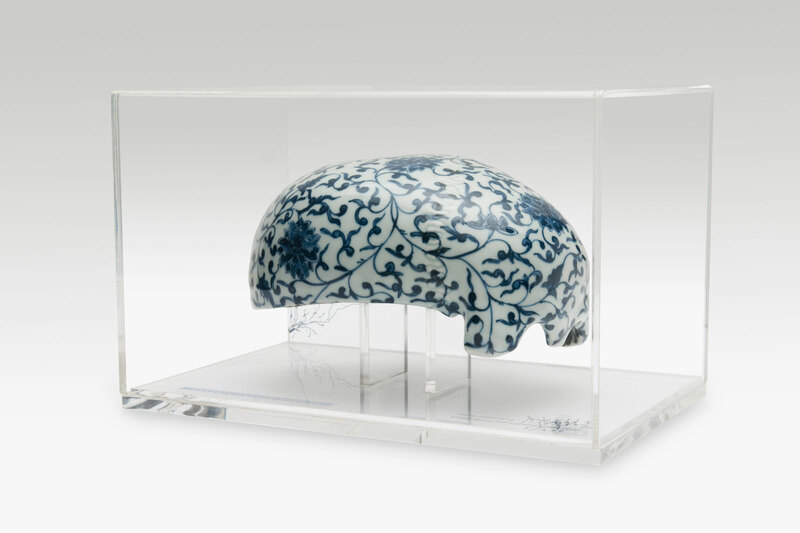 The installation consists of hundreds of human size skulls and bones in porcelain, inspired by the decorative patterns of the ming era. 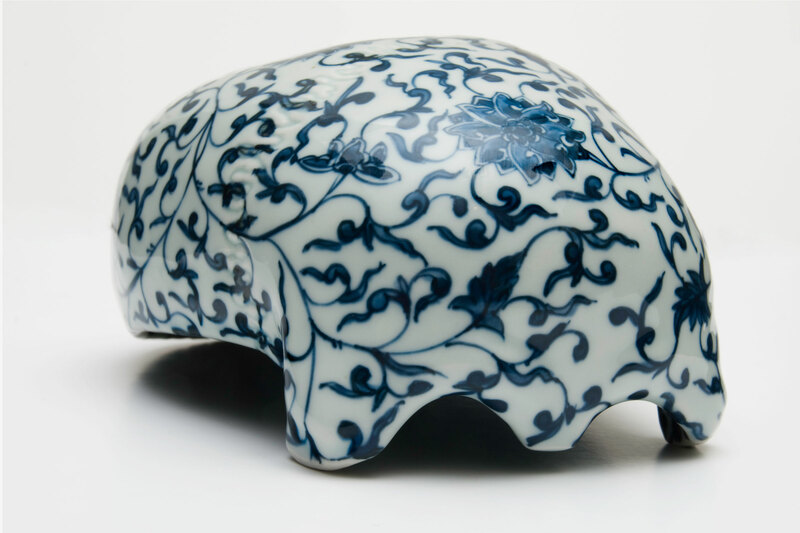 Displayed in wooden crates, these bones, made in jingdezhen manufactury, allude to the time that flies by and to the political changes in china between 1989 and 2009. 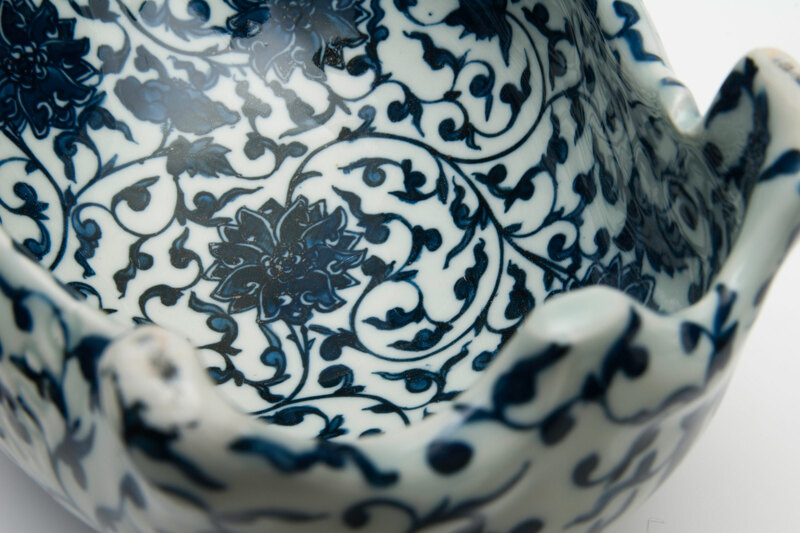 The porcelain bones embody a return to original nature. Beyond the forces of oblivion, these artefacts evoke the vitality of life and human spirit in blossom. A vitality which is exhumed from the ashes of history and summons to overcome the torments that were inflicted.